Green Texture Chinese Health Balls | BUDK.com - Knives & Swords At The Lowest Prices! 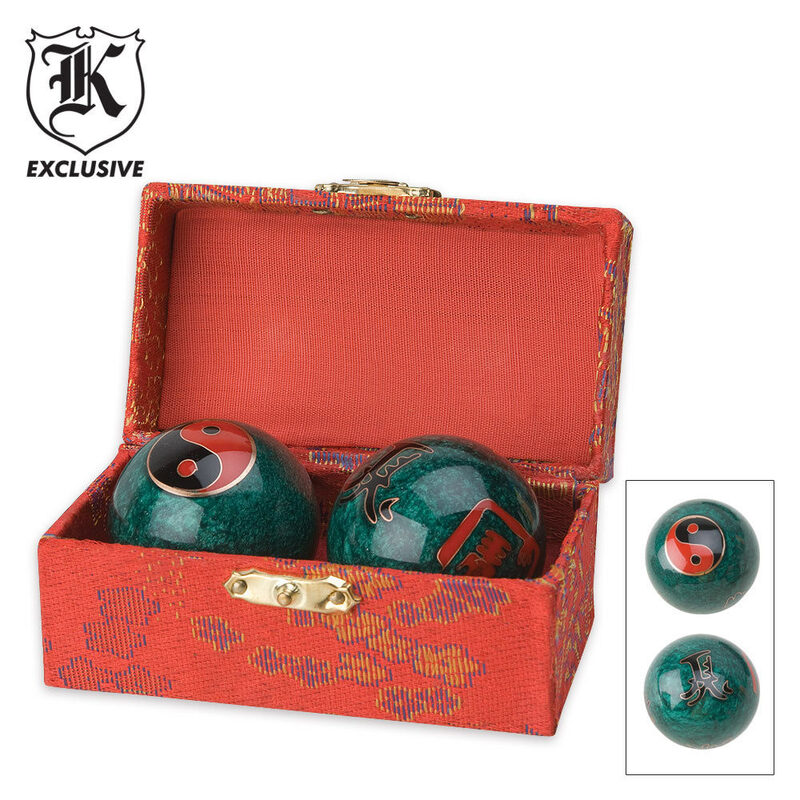 If your hands are feeling stressed from work, you should try these iron Chinese exercise balls with vibrating jingle inside. By rotating them in your hand, it can relax fatigue, joint stiffness and soreness. According to Chinese acupuncture therapy, it may also improve memory, promote sleep and stimulate the acupuncture points in the hand and make muscle relaxed by enhancing blood circulation. These things work great! Really relieves stress and makes you feel more....serene.